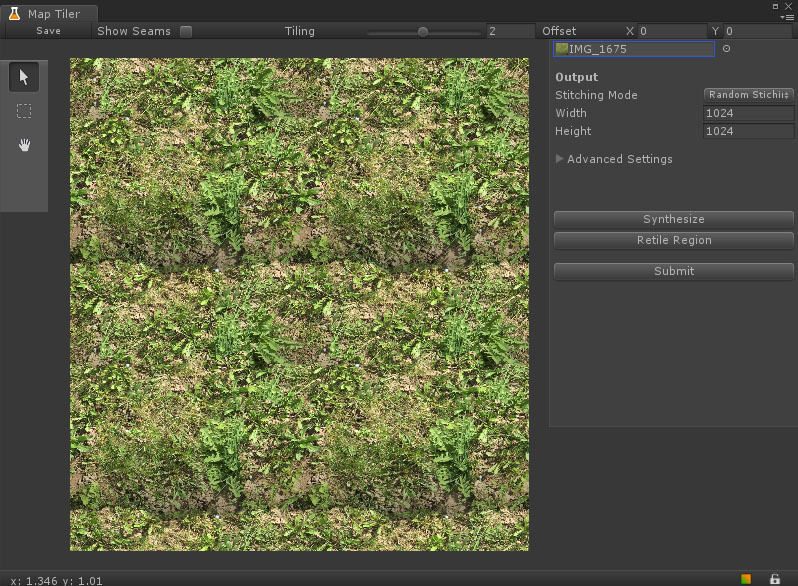 There are various way to make a seamlessly tiled texture. 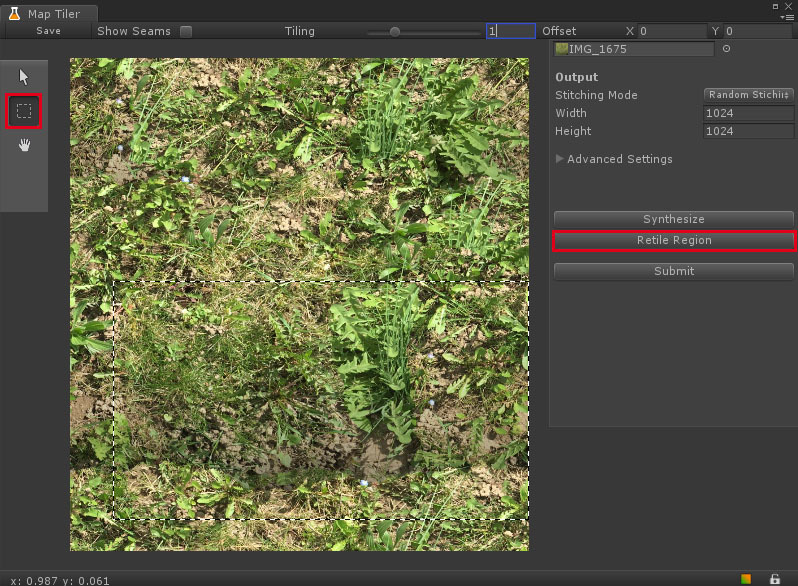 In this tutorial we use Map Lab's Random Stitching mode to synthesize a complete new texture from an arbitary input texture. 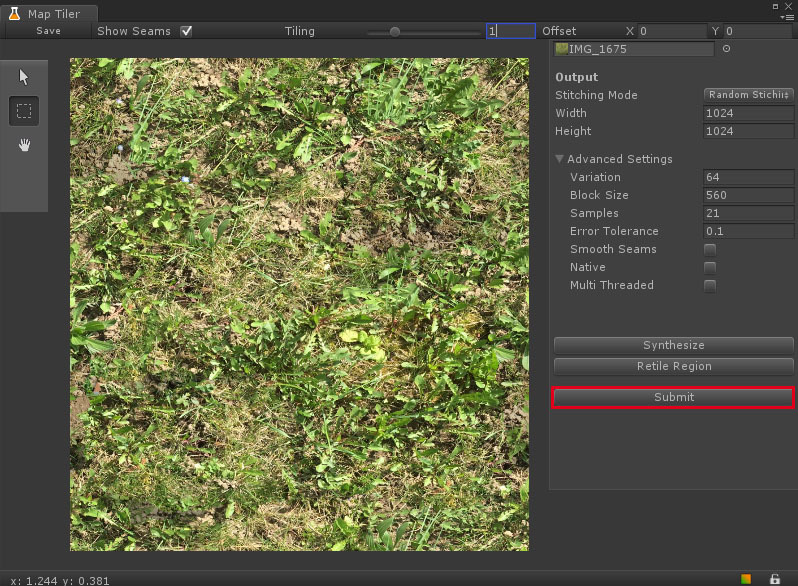 Take an arbitary input texture, slot it to the input field and open the Map Tiler. Increase the Tiling factor to see what actually happens to the seams while the synthesizer is working. Set the dimensions of the output texture. Press Synthesize to perform a first pass with the default settings. Note that this tutorial choose a bad example by purpose, to demonstrate that it works even with inadequate input textures. A good input texture is equally lit and has no shadow parts in it. After the first pass finished, one can see that some of the shadow parts survived the synthesizer. To get rid of those one could synthesize again to see what the Random Stitcher will output in a next pass, or just proceed with step 4. The other option is to only retile parts of the texture that don't look good. Set the tiling factor back to 1. Select the Marquee tool from right toolbar. Select the shadow part in canvas. If you are not satisfied with the result, just keep pressing Retile Region again until it looks good. After retiling the shady parts it should look something like the image below. 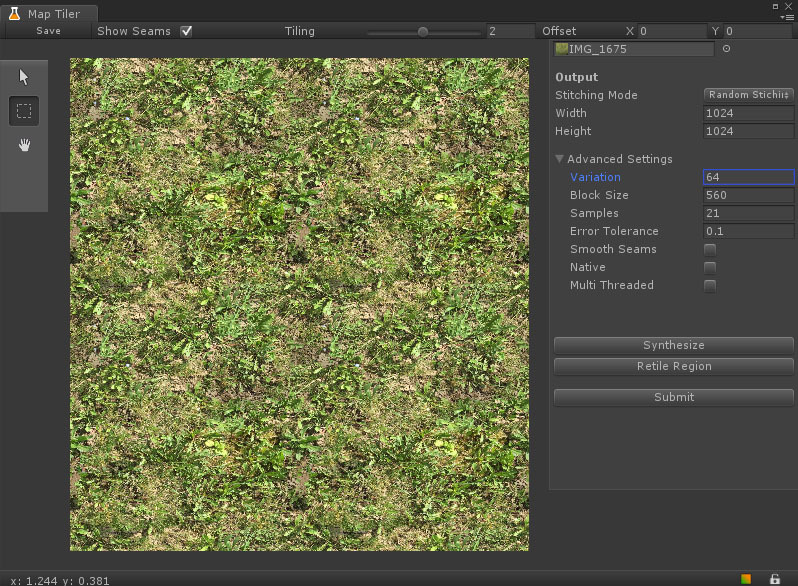 Once you are satisfied with the result, just press Submit to load the texture back to Map Lab. 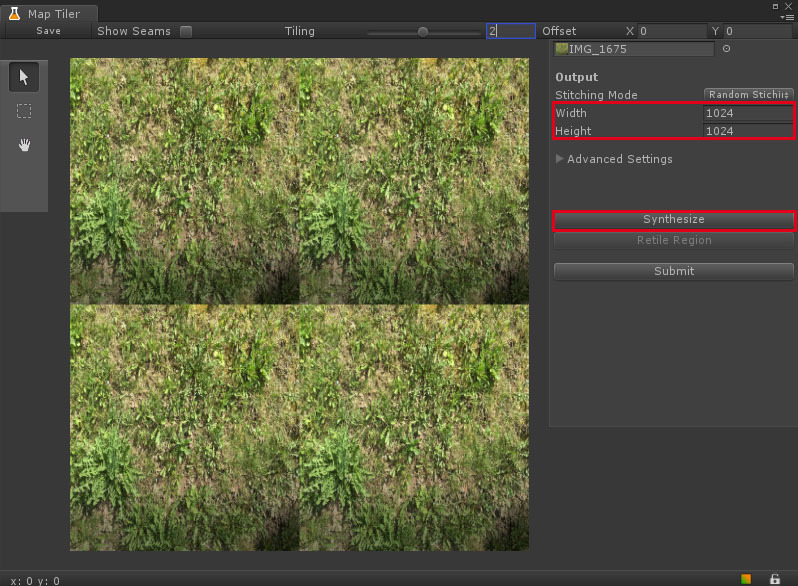 You can also keep the Map Tiler window open while working in Map Lab and make changes to the texture on the fly.